If your child is underweight you have probably received suggestions on how to improve intake. Typically, those suggestions include using high calorie additives like butter, cream, oils, peanut butter, and other high calorie condiments. When a child is a picky or selective eater the advice is to continue to offer a variety of foods in fun ways, not to make a separate meal, and offer foods without the pressure to eat. As the parent of a child who fell into both categories the strategies did not always seem to work together. I continued to offer the few foods that he would eat as a way to get calories in him for growth, but the approach of only offering a few foods did not feel right to me as a parent or a dietitian. If I only provided the foods I desired for him to consume like whole grains, fruits, vegetables, and less processed meats then no food would be consumed. It did not matter how many fun and colorful ways I cut the fruit and vegetables he just did not eat. Refusal to eat did not help his weight or my anxiety. I find that many other parents have these same feelings. There can be a middle ground to help foster growth and development and increase variety. Create variety within the small number of foods the child is willing to except. This is a concept from the book “It’s not about the broccoli” by Dina Rose. The idea is to allow your child to still have preferred foods, but offer them in slightly different ways on repeated days to introduce variety. For example, if your child’s favorite breakfast food is toaster waffles with syrup, then the waffles could be offered one day with syrup poured on the waffle and the next day the waffle could be cut into strips and dipped in syrup. Over time you may be able to offer other items such as fresh fruit or yogurt with the waffles. Start by offering non-preferred food at a snack time rather than a meal. Schedule your between meal snacks and offer a preferred with a non-preferred food. There is usually less pressure to consume snacks and it is a small way to introduce something new. Ask the child to talk about the characteristics of the new food (color, shape, feel, etc.). Serve the new food on a platter and offer it to the entire family for snack and ask your child to help serve it. Offer a high calorie beverage at one time during the day. The high calorie beverage can be a homemade smoothie or a milkshake or it can a commercial nutrition supplement designed for children. This could be given at one of the planned snack times during the day. This is not a long term solution, but it can help give parents the peace of mind that they are providing a little extra calories. As the diet expands the high calorie beverage can be weaned. I would not recommend that you provide more than 4-8 ounces per day of a high calorie shake as consuming too much can decrease a child’s appetite for food. Provide one preferred food to the entire family for a meal. If grilled cheese is a preferred item then have a grilled cheese bar for dinner or if yogurt is a favorite then serve breakfast for dinner and include a yogurt and fruit bar as part of dinner. If a child consistently has a different meal than the rest of the family they do not realize how fun it can be to share food with others. Using the dinner bar concept allows for the preferred food to be on the table, but the child then gets to see different ways it can be enjoyed and enjoy sharing their favorite food with those they love. For more information on the dinner bar click here to find my post on "Build a Dinner" and other family meal ideas. Using some of these suggestions may help with anxiety about weight concerns and slowly improve variety. If you are concerned about your child’s weight seek advice from your primary care provider or a pediatric dietitian. 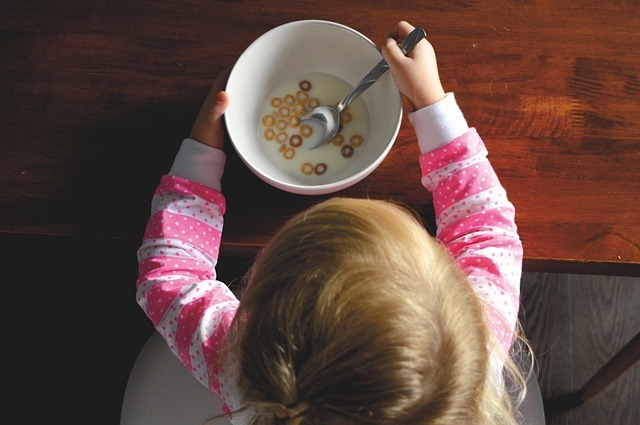 Some picky/selective eaters have sensory issues and may need the help of an occupational therapist or speech therapist to address these concerns.